In 2008, nearly 60 years after the popular board game Clue hit shelves, Hasbro decided to give it a makeover. By moving the game of Clue from a traditional mansion to a more modern party house, the makers of Clue have brought the classic game into the 21st century. 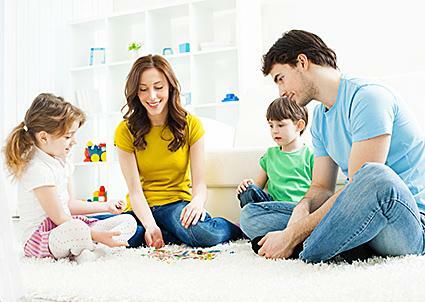 Add this new updated version of Clue to the rotation during your next family game night. In addition to the different rooms, the characters start from different places on the board. By choosing one character over another, you may be able to get into a room faster. Like in the original game, players are dealt cards that feature the weapons, characters and rooms in the mansion. They use these cards to discover the crime that was committed. A new addition to the game is the pool in the middle of the game board. A special room in the mansion, it contains any undealt cards. Players may enter the pool to look at the cards and cross out suspects. 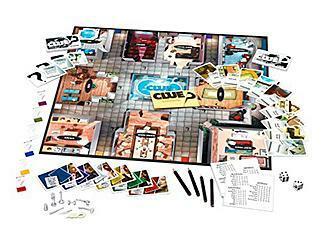 The game pieces and notepads take on a different look in the new clue as well. Instead of moving colored pawns, you move clear question marks with colored bases. The notepad is designed to look like a dinner napkin and contains space for marking down your notes. Even though the new Clue looks a lot different, the rules of play are similar to the classic version. At the beginning of the game three cards are placed into a confidential file. After that, players are dealt equal numbers of cards. Players roll the dice and try to enter rooms. When a player enters a room, he makes a guess about who committed the crime, the weapon that was used and the room that it was committed in. The person making a guess then asks the player on his right if he has any cards related to the guess. If the player has one or more cards, he shows one to the guesser. Otherwise, the player on the left is asked. If no one can produce a card to match the guess, the player checks the confidential file to see if the cards match the guess. You can find the new version of Clue at most toy shops or department stores, online or in person. Check out Amazon and Toys 'R Us, or if you have trouble finding it, Hasbro offers a search tool to help you find retailers of the game near you. Update your game collection to include the new Clue. The method play is similar to the classic game and the new intrigue cards and different rooms in the mansion add intensity and freshness. Fans of the classic game will enjoy this new take, while younger players will get hooked on the modern components.